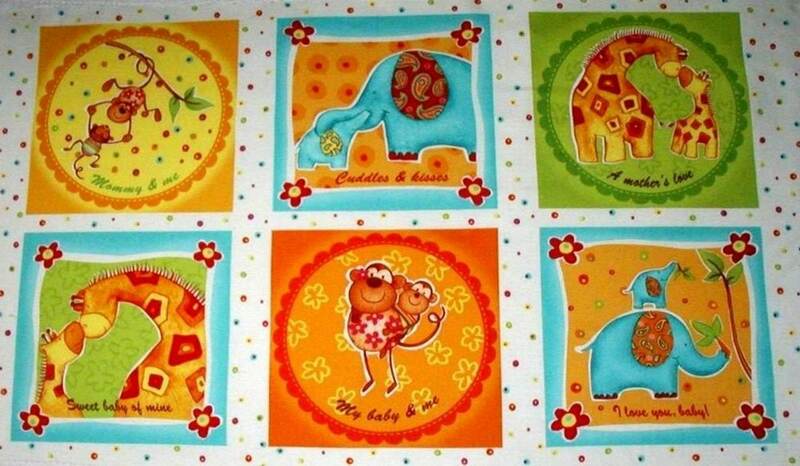 Red Rooster Safari Sweetheart Panel by Diane Eichler is a beauitiful and colorful nursery panel with monkeys, giraffes, elephants and sweet baby sentiments that is suitable for little boys or girls. 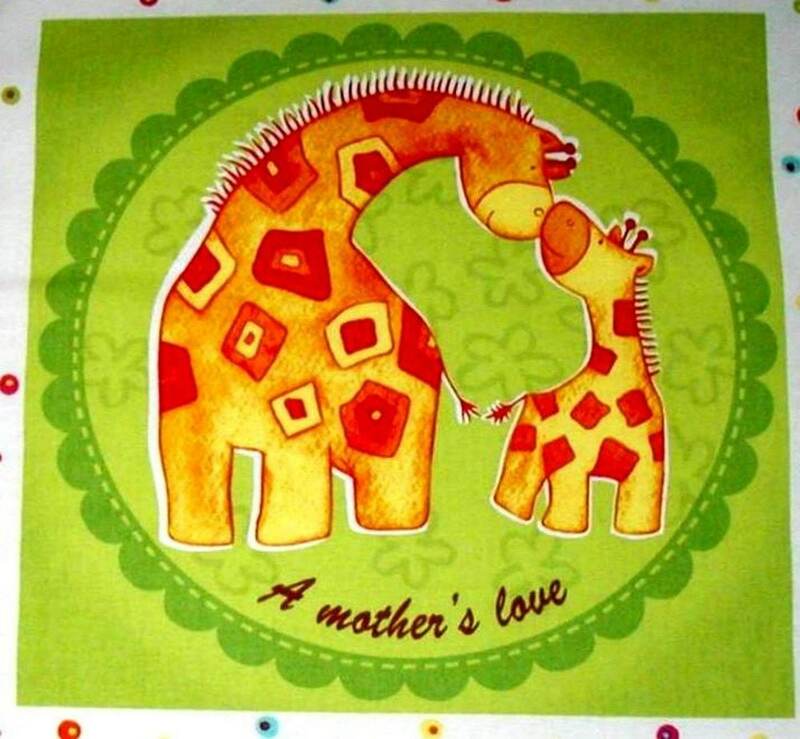 You will find bright shades of yellow, green, orange, red, blue and browns. 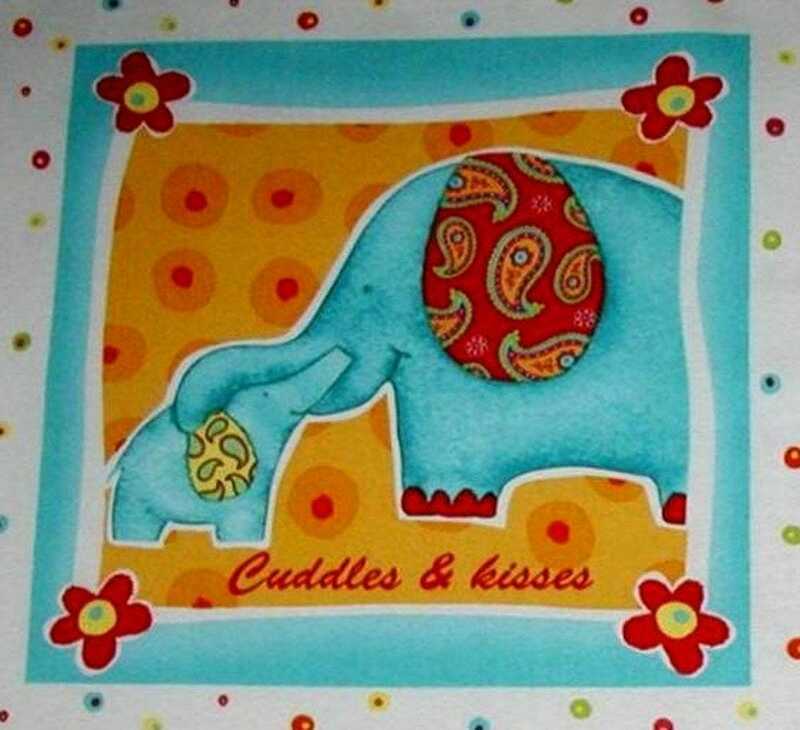 Each square measures 10 1/2 inches and in each square you will find whimsical animals sure to make you smile. All fabric from The Quilted Nursery is cut directly from the bolt and we now offer fractional yardage cuts for your convenience. All shipping overages are refunded on shipment of fabric.